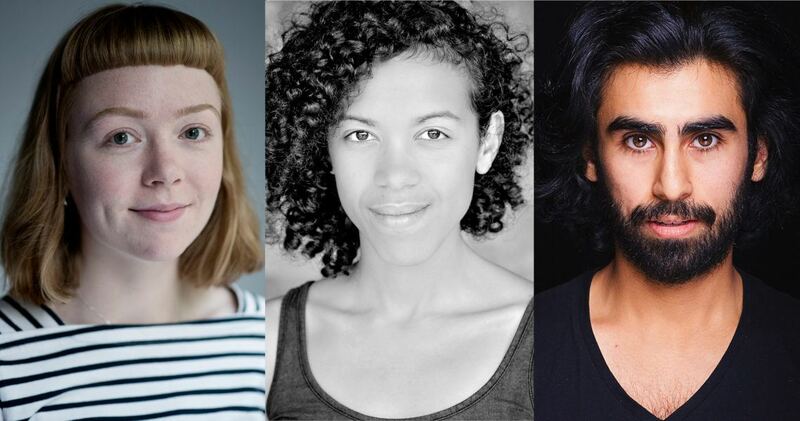 Northern School of Contemporary Dance, Yorkshire Dance and Spin Arts are pleased to announce the selected artists for the third edition of Northern Connections; Lizzie Klotz, Madeline Shann and Akshay Sharma. The 2019 artists were selected by a panel comprising Janet Smith MBE (NSCD Principal & Artistic Director), Sarah Shead (Director and Creative Producer of Spin Arts) and Tanya Steinhauser (Artist Development Producer at Yorkshire Dance). The panel were delighted with the quality and range of applications. Each selected artist on the programme will be supported through two studio residencies, and a fully supported performance platform to present their new work in progress at Riley Theatre and engage with audience members. They will also benefit from bespoke workshops on the business of dance, producer support, and mentoring and networking opportunities. Newcastle-based dance theatre artist Lizzie Klotz creates sensitive, humorous and thought-provoking work driven by an interest in human behaviour. As part of the programme Lizzie will create a new duet with collaborator Luca Rutherford exploring ‘the smallest of dances’ and the notion that the world is a much smaller – and more connected – place than we think. Madeline Shann makes multi-disciplinary live work, usually in response to social or political themes. The Sheffield-based choreographer is interested in the scope and limitations of dance as a language to discuss complicated, specific and nuanced emotional issues. Madeline will develop a new work with a group of dancers, exploring the phenomenon of ‘gaslighting’ through entwined video and live action narrative. Working substantially in the North since graduating in 2017 from Northern School of Contemporary Dance, Akshay Sharma is interested in the underlying economic conditions of human interactions and existence. Akshay will explore the notion of ‘care’ in interpersonal relationships in a new work for the stage as part of Northern Connections. “I am delighted to hear that I am part of the team of artists being supported in this year’s Northern Connections. I am very excited and looking forward to working with the team and my dancers and using these fertile grounds to explore some ideas. I am hoping to build a network and lay strong foundations with the support that will be offered. My gratitude towards Northern School of Contemporary Dance, Yorkshire Dance and Spin Arts”.